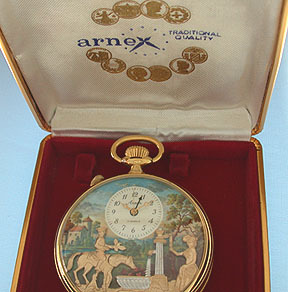 Swiss gilt musical alarm automaton by Reuge retailed by Arnex circa 1975. 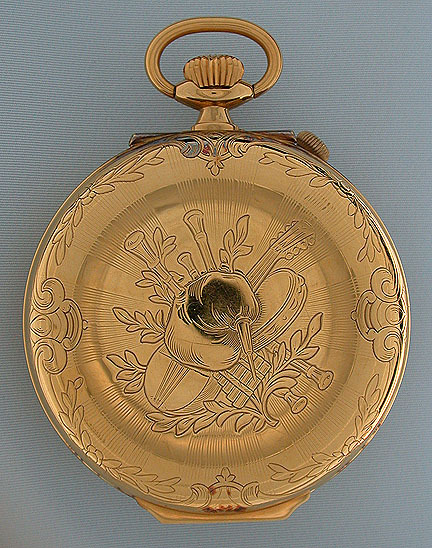 The dial with automated figures against a landscape; the falconer raises and lowers his hand, the horse drinks, the maiden pumps, and the simulated water flows, all accompanied by music when the alarm goes off. 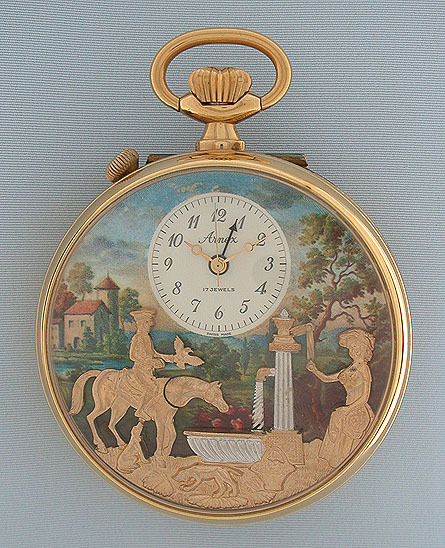 Large engraved case with easel back allowing the watch to stand on a desk. With Arnex box.